We were sent this image (below) over the weekend, reportedly a little note sent out by Ubisoft to GameStop stores patting them all on the back for their stellar efforts in bugging enough of you into preordering a game that they hit a quota. 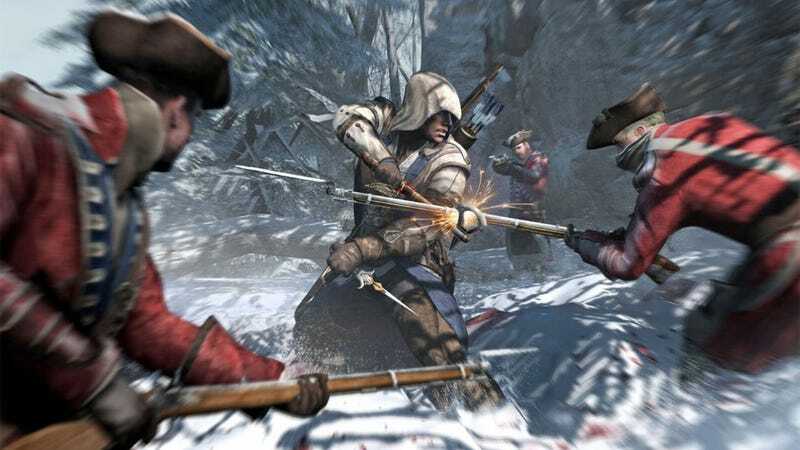 After that's done, though, we're told that Ubisoft has formed a team specifically to create post-release DLC for Assassin's Creed III, and that there'll be enough of it to warrant some kind of "season pass" being sold for the game which would presumably entitle purchasers to a discount rate for buying all of it at once. No mention of whether it's singleplayer, multiplayer or both, but seeing as the series has had some success releasing decent singleplayer DLC with Assassin's Creed II, hopefully it's something more substantial than just maps and skins for multiplayer.